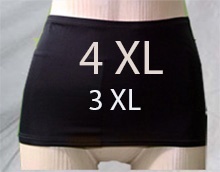 The Ostomy Belt FloriLee® Unisex and underwear for ostomates are extensible, light, flexible and soft. The ostomy wraps FloriLee TM are the best solution for everyday wear there are made with inner poket insite that conceals the ostomy pouch and hold the bag in place at all the time and successively extends stoma bag wearing time. The lightweight mesh-like material is greatly appreciated in warm weather. Product benefits Ostomate can have active lives if they wear the the ostomy belt, as it hold the ostomy pouch in place and prevents it from detaching during physical activities and during the night. Ostomy belt is available in black, beige, beige (net material). The beige belt made out of net-like material should be worn after the operation and during the summer season as the material allows the skin to breathe more easily. The Protective Ostomy Belt for ostomates, has a universal pocket whether your ostomy is on your right or left side. It will suit you perfectly! Manufactured according to industry standards out of nylon (85%) and Spandex (15%); this amalgam produces a breathable fabric. Ostomy belt Made in Canada (patented) superior quality product appropriate continuous production monitored.